The land area of New Zealand is a small part of a largely submerged continental fragment that drifted away from Australia. In this diagram, continental crust is shown in orange, and thinner oceanic crust is blue. 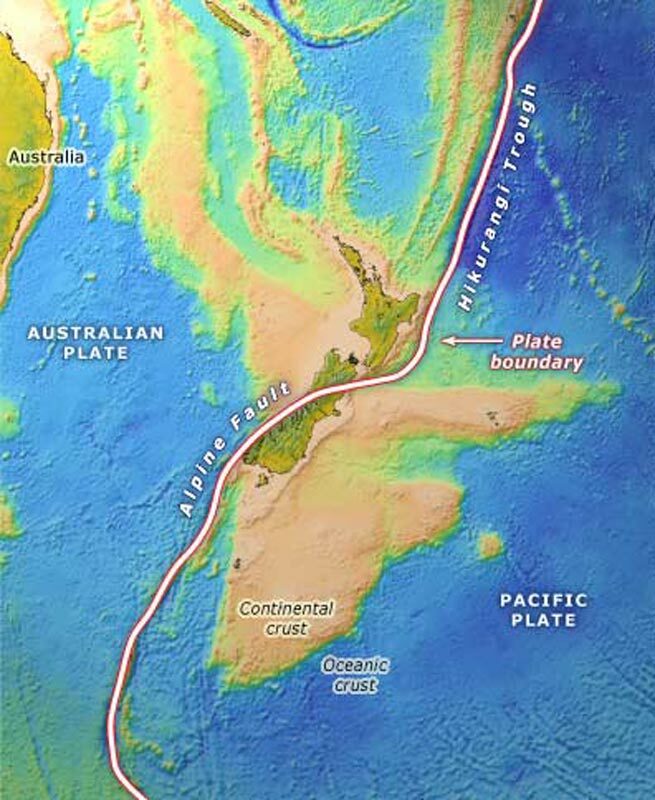 New Zealand lies at the junction between the Pacific and Australian plates, indicated as a broad line on the image. The plates are pushing against each other, causing uplift of the present land area.